Batu Belig is known for its local Indonesian touch. However, the place isn’t as famous as many other beaches. Majority of people visit Batu Belig every year due to its low crowded environment. The atmosphere and environment in Batu Belig is peaceful and soothing. However, the number of people visiting Batu Belig is growing as every year passes. 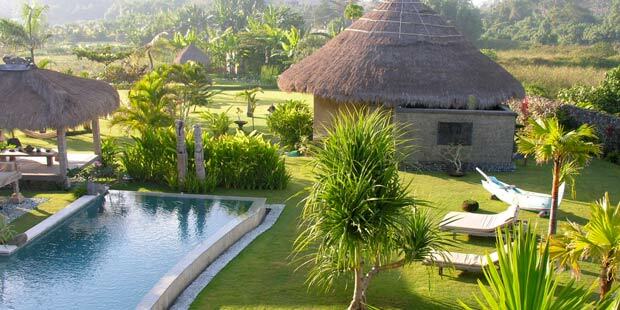 Batu Belig possesses some of the best luxury villas among all Bali villas. The destination has all kinds of villas and hotels. Batu Belig offers the visitors the most luxurious hotels as well as budget hotels. All kinds of hotels are available for a comfortable stay in Batu Belig. The exceptional hospitality by the hotels will ensure that you come back to Batu Belig in your next holiday trip to Indonesia. Grand Balisani Junior Suites Hotel is located in Batu Belig Beach. The hotel is surrounded by peaceful natural environment along with rice paddy fields. The hotel gives you an impression of the Indonesian culture with the sights of temples and lotus ponds nearby. Grand Blisani is only 15 kilometers from Ngurah Rai airport. The hotel is a luxurious one. The hotel staff ensures that the visitors have a pleasurable stay. The hotel holds all kinds of facilities for the customers. Grand Balisani Suites is another hotel in Batu Belig. It is a three star hotel. The hotel surely qualifies for one of the best hotels in the Bali Beach. It is due to the ancient and traditional aspects which the hotel possesses. Grand Balisani Suites is not built as the common luxurious modern day hotels. Although, the hotel stores all the modern day facilities for the customers but the architecture has been kept with the local Indonesian touch. The interior walls of the hotel are decorated with local stones. The complete interior design has been kept traditional. If you are looking for a quiet, calming, relaxing and comforting getaway then Batu Belig is your destination. Visit Batu Belig to explore the local Indonesian culture and sights along the pleasure of being at one of the finest beaches in the world.Accommodate yourself in Grand Balisani Junior Suites Hotel or Grand Balisani Suites to enjoy your vacation in Batu Belig.